Jazzhátíð Reykjavíkur staðfestir komu frískustu balkansveiflumeistarar Skandinavíu á hátíðina í ágúst! Gadjos hafa spilað óslitið síðan þeir urðu til á götuhorni í Berlín 2011 og tónlistarstíllinn TALLAFUNK varð til. Gadjos býr yfir blandar blygðunarlaust saman klúbbamúsík samtímans við ólíklegustu stílbrigði jazzins og þjóðlega tónlist Albaníu, Kosovo, Serbíu, Makedóníu og Búlgaríu. Gadjos er straumlínulöguð útfærsla á lúðrasveit balkanlandanna. Saxófónn, trompet, túba og tveir slagverksmenn. Sumir myndu segja að þetta væri alveg nægilega mikill hljómur. Ef einhverjum finnst þessi lúðrasveit lítil þá má benda á að í staðinn búa þeir yfir ótrúlega miklum sveigjanleika í hreyfingu, en þeir eru ákaflega líflegir á sviði. 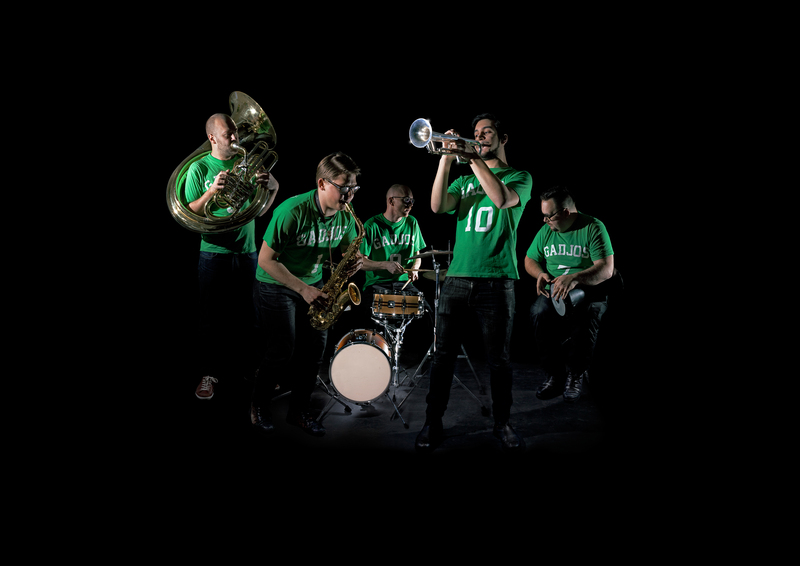 Scandinavia’s most skilled Balkan musicians formed GADJOS in the summer of 2011 from two weeks of playing the streets of Warschauer Brücke in Berlin; a musical training camp that developed the band into their unique style, which they prefer to call; TALLAFUNK ! Gadjos delivers heavy beats from the club scene, even heavier jazz, and strong influences from the Romani Tallava music in Albania, Kosovo, Serbia, Macedonia and Bulgaria. The classic Balkan brass band has in Gadjos been trimmed down to sax, trumpet, tuba and two percussionists. What they might lose in volume they gain in flexibility and tightness of sound. During the past year the band has had a number of successful club performances in Scandinavia and Germany. Gadjos will be releasing their first CD later this year, but there are already a couple of videos available to enjoy on their blog. This fall they can be heard playing live all around the nordic countries! Keep your eyes open for updates on where, right on this site!